Do you live in Bokeelia? 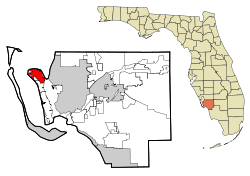 Bokeelia is a census-designated place (CDP) located on Pine Island in Lee County, Florida, United States. As of the 2000 census, the CDP had a total population of 1,997. It is part of the Cape Coral–Fort Myers Metropolitan Statistical Area.